March 2015 - It is clear that somebody read the book! the world has not found it. I think the world is very busy right now. article for submission to a scientific journal. October 2014 - The book is out! The site is up. The blog is up. There might even be a Twitter follower. Nothing succeeds like success. Thanks to all concerned. But wait, this is science. Where's the peer review? Well if you are a peer, please review the book, and tell me of any concerns, problems, disagreements, etc. We are looking for feedback. 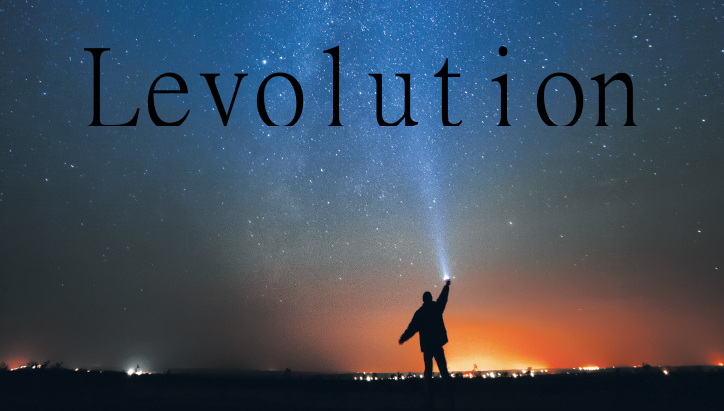 July 2014 - The first book in the Levolution Series, entitled Levolution: Cosmic Order by Thermodynamic Natural Selection, is currently being published and should be out in October. This web site relates to whole Book Series being produced about Levolution. The Series is described here .